The seven offers different apartment floor plans that make living easy and convenient for you, or you and a few roommates. The one bedroom option at The Seven includes a bedroom, private bathroom, and a living and kitchen area equipped with all the essentials. Phase one sold out! Phase 2 coming fall 2018! 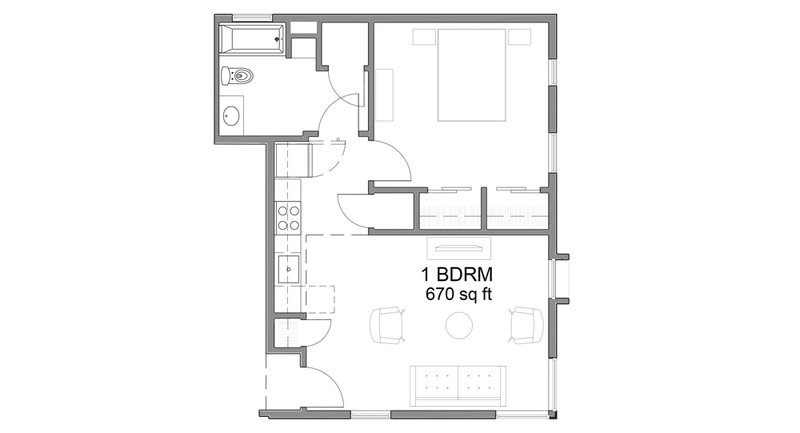 The larger one bedroom apartment option at The Seven includes a private bathroom, and a spacious living and kitchen area. Each bedroom comes with their own bathroom that includes both a shower and bathtub. This allows you the convenience of sharing an apartment matched with the luxury of privacy. 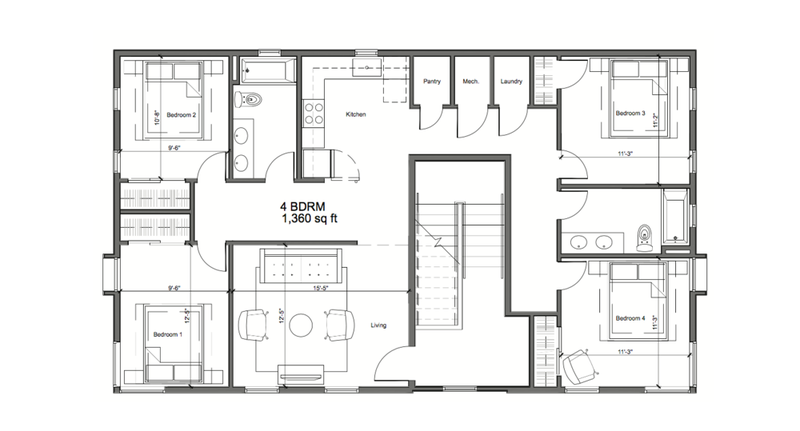 The living room, kitchen and laundry are part of the open shared space in the two bedroom apartment option at The Seven. Both of our four bedroom apartment options are spacious and convenient for roommates or up to a family of 8 to live at The Seven! 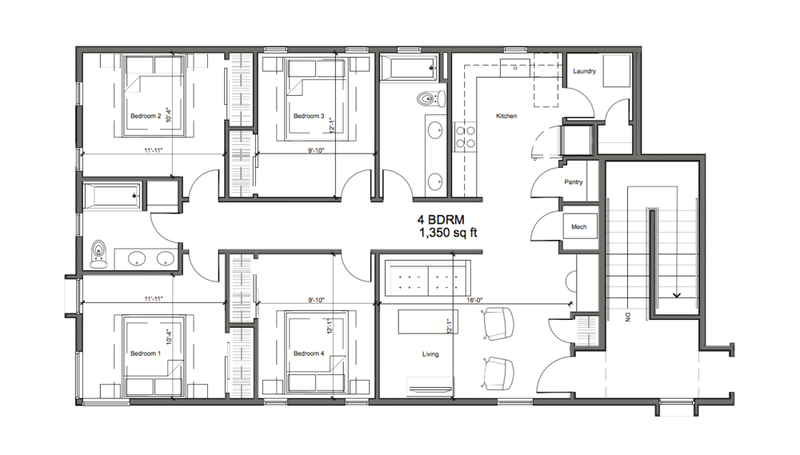 Both four bedroom apartment options come with two bathrooms.